Carolrhoda Books (R), 9781512440270, 448pp. 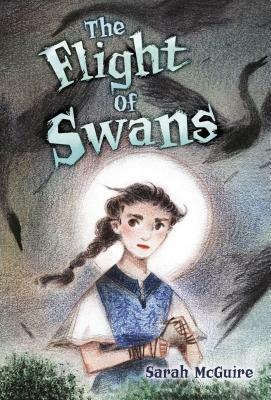 Based on the Brothers Grimm's fairy tale Six Swans, The Flight of Swans follows Ryn's journey to save her family and their kingdom. Princess Andaryn's six older brothers have always been her protectors--until her father takes a new Queen, a frightening, mysterious woman who enchants the men in the royal family. When Ryn's attempt to break the enchantment fails, she makes a bargain: the Queen will spare her brothers' lives if Ryn remains silent for six years. Ryn thinks she freed her brothers, but she never thought the Queen would turn her brothers into swans. And she never thought she'd have to undo the Queen's spell alone, without speaking.